Matthew McConaughey may enjoy doing business out of his car like his slick, oft-chauffeured criminal defense attorney character in “The Lincoln Lawyer” (opening this Friday), but he’d prefer to do the driving himself. As someone who’s frequently limo-ed and town car-ed around Hollywood himself, McConaughey admits he's on a first name basis with a regular driver (“I’ve got my guy,” he chuckles). And just like fictional lawyer Mickey Haller’s relationship with his driver Earl, some bits of McConaughey’s backseat business are better left unheard. 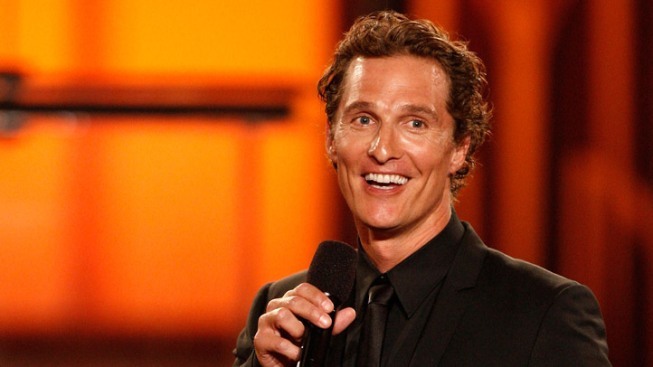 McConaughey says becoming a dad hasn’t changed his pace on the road, either. “I’ve always been a lean-to-the-slow-side-of-driving guy anyway – I’d rather leave early and just cruise, because I enjoy driving. So I don’t want to rush it."